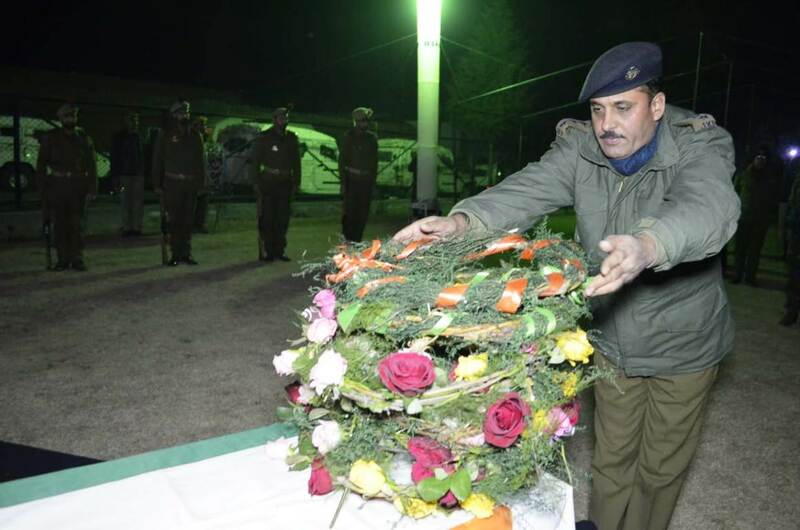 A wreath-laying event was held on Tuesday late evening in District Police Lines Pulwama where tributes were paid to the slain SPO Sameer Ahmad Mir who was killed by suspected militants at Hanjan village of south Kashmir’s Pulwama. A senior police officer paid floral tributes of slain SPO Sameer Ahmad at DPL Pulwama on Tuesday, January 1, 2019. A spokesperson in a statement said SP Pulwama Chandan Kohli led the police, CRPF officers and jawans in laying floral wreaths on the mortal remains of the slain SPO. “Slain SPO is survived by parents and two brothers,” the spokesman said. “Among others who paid tributes to the slain include Addl. S.P Pulwama, DySP DAR Pulwama, DySP Hqrs Pulwama and other officers of the district,” a police spokesman in a statement said.